Robert C. (Bob) Kirkwood, Jr. passed away March 26, 2019 at his home surrounded by his family at 3150 13th St. Baker City, Oregon. Bob was born and raised in Baker and spent his life working and raising his family in Baker Valley. He was employed by several of the ranches in the valley (Butler Ranch, and W. Weishaar and many more). Bob also worked for Pine Cone Station, Haines Commercial Equipment Co., Morrison Knudsen Co., North Powder Pine and Baker Mill & Grain. In the early 60’s Bob was employed by Lew Bros. Tire Center in Baker and continued working as ranch hand and share-cropped for Charlie Simpson and eventually bought his farm on Brown’s Lane. He and his sons went into the custom combining business for a few years. 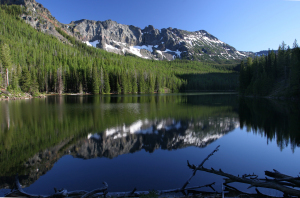 In the mid-60’s he started contract thinning timber in the Wallowa-Whitman National forest where he found his calling. Once his sons were old enough they worked in the woods with him and started their business as Kirkwood and Sons. He thrived in the outdoors and loved to go out fighting wild fires. He retired his chain saw at the age of 75. He was an avid hunter who enjoyed hunting Elk, and Deer, he fished and enjoyed his time in (God ‘s Country). He was always willing to go out and be in the timber picking mushrooms and loved to prospect for gold. He was really a man of his time. 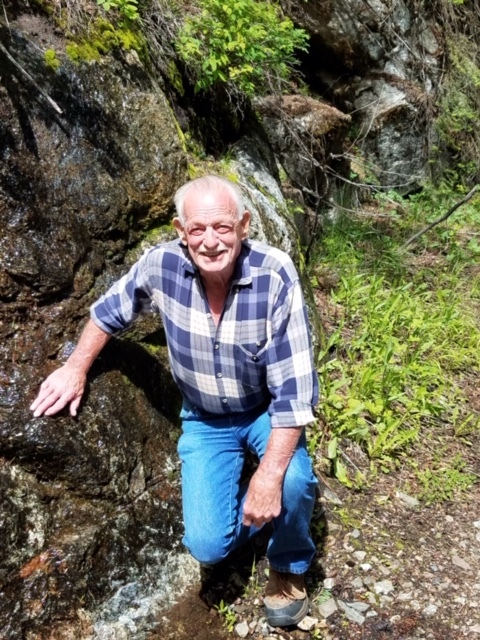 Bob loved the outdoors and he loved being with his family while doing the things he loved such as hunting, fishing, bowling, rock collecting, gold panning, gardening, wild fire fighting, gambling and story telling. He is preceded in death by his wife, Wanda E. Kirkwood of 60 yrs. ; father, Robert C. Kirkwood; mother, Luellen A. Withers Kirkwood; brothers, Cecil, Don, Keith and sister, Myrna. He is survived by his sister, Shirley J. Kirk of Nampa, ID; brother, Darrell W. Kirkwood and his wife Susan of Detroit, MI; sons, Robert (Bob) Kirkwood, Jr. and his wife Susan of La Chine, MI; Rex Kirkwood and his wife Karen of Baker City; and Roger Kirkwood of Baker City; daughter, Vena Callow, and her husband Patrick of Baker City; grandchildren: Christopher, Tara, Brittney, Tyler, Travis, Melissa, Roger Jr., Rylan, Justin. Adam , and Taylor; and great-grandchildren: Taylor, Jonathon, Taryn, Hudson, Rex, Triniti, Josalyn, Gabrielle, Grayson, McKane, Trace, Walker and Harley. There will be a Celebration of his life for family and friends on April 6, 2019 at the Fraternal Order of Eagles, 2935 H St., Baker City, OR 97814 from 1:00 p.m. - 3:00 p.m.
Internment of Ash Ceremony will be at a later date.